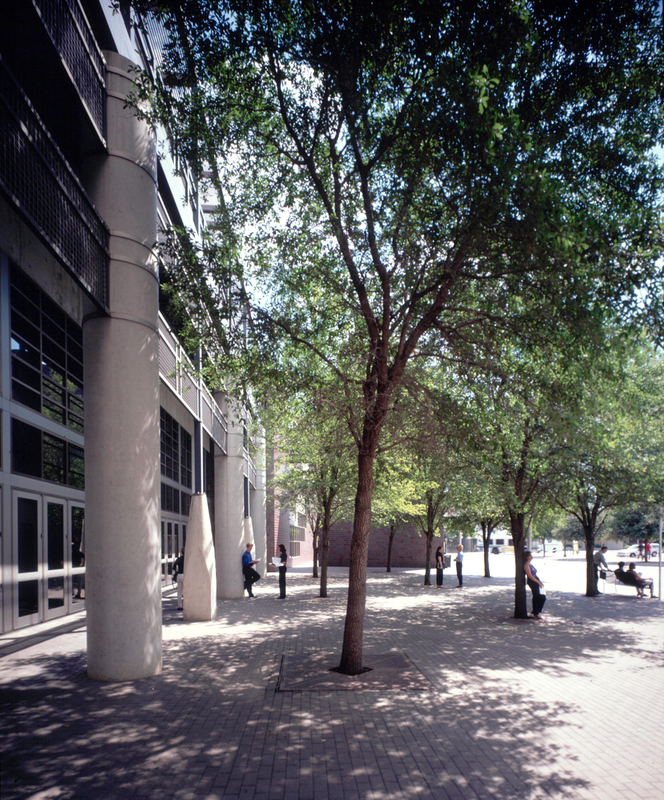 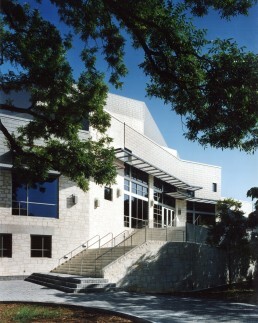 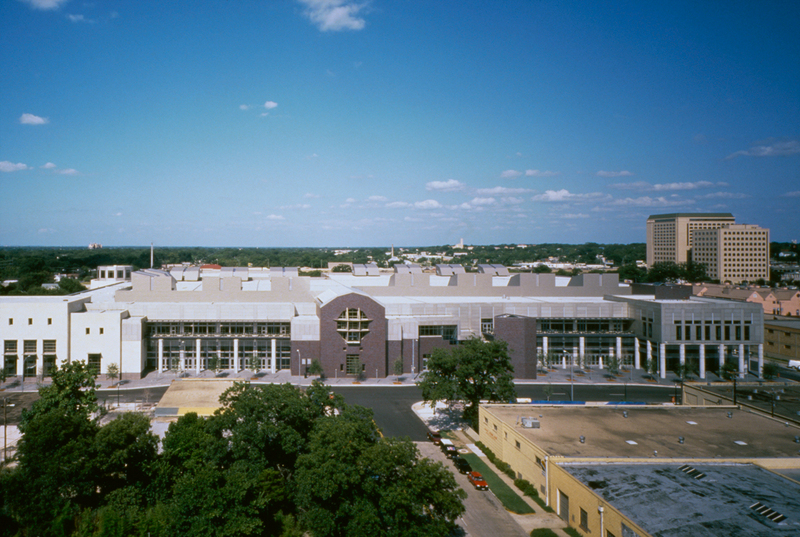 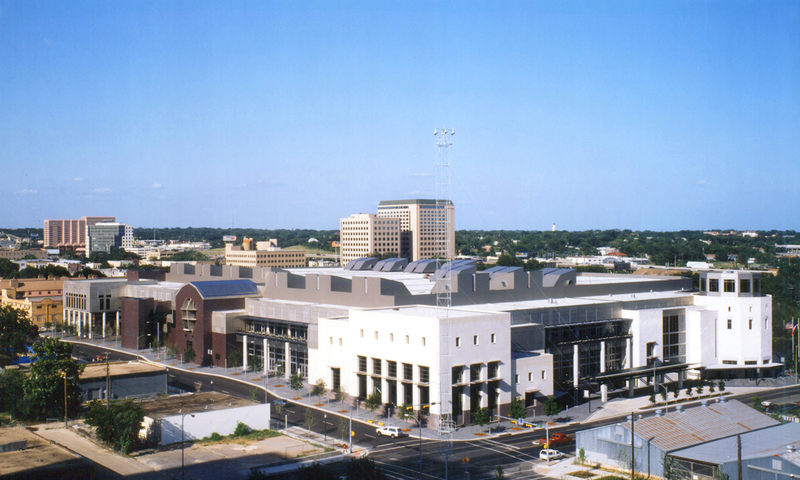 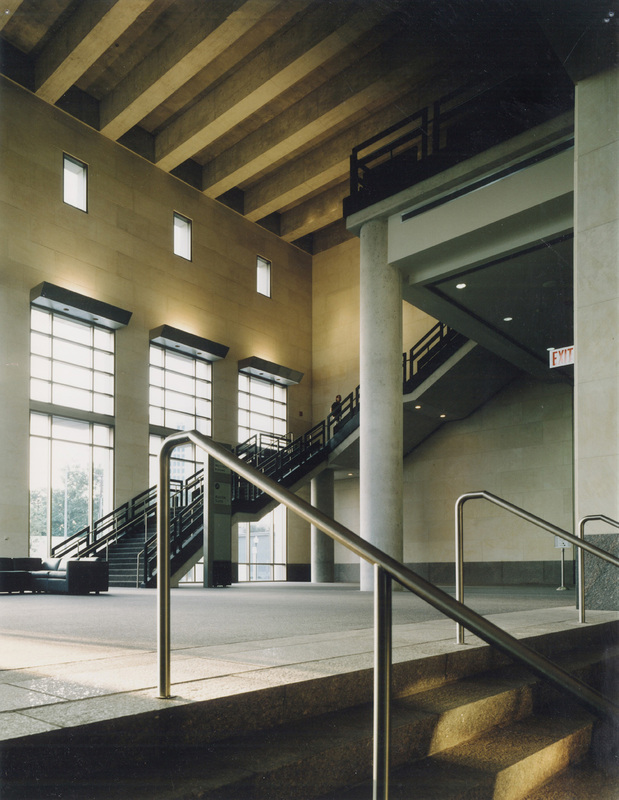 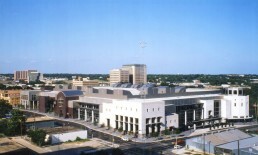 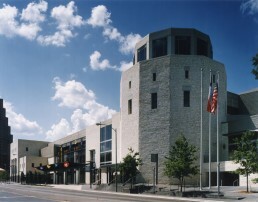 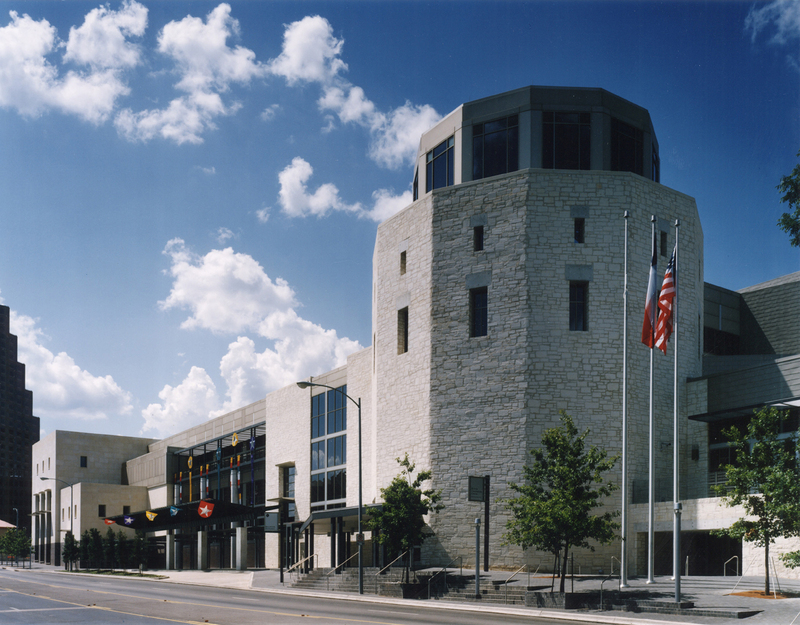 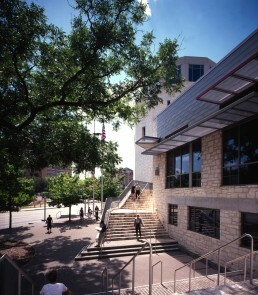 The Austin Convention Center integrates harmoniously into the fabric of the city. Building circulation and smaller-scaled programmatic elements surround the large exhibition spaces, enlivening the streetscape. 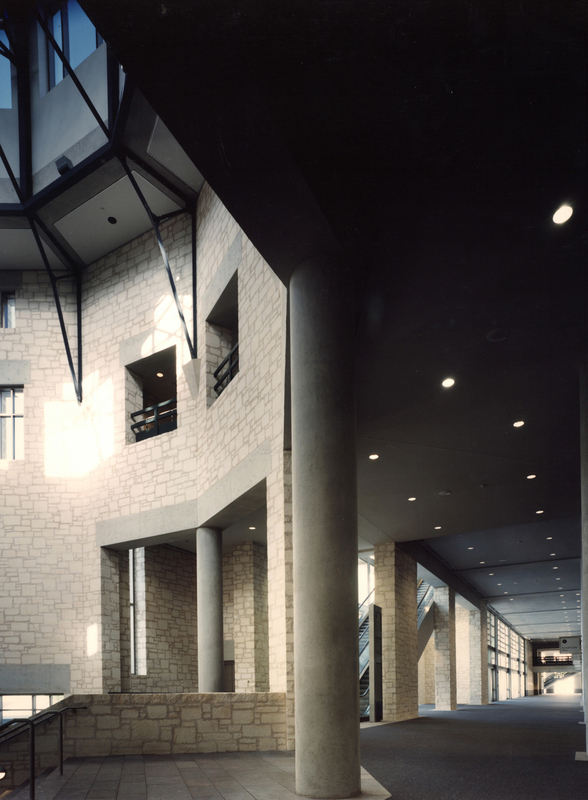 Lobbies, meeting rooms and pre-function spaces are designed individually with scale, proportion, color, material and character representative of the city and region. Green design figures prominently in the 410,000 square foot complex, through the use of local materials, extensive daylighting, careful zoning of energy consumption, a thermal storage system, a large solar panel array and highly efficient multiple switching fixtures. 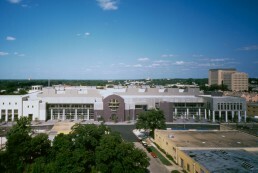 Larry Speck was lead designer for a joint venture including PageSoutherlandPage and other firms.